Land use land cover and subsequent changes (LULCC) play an important role in weather and climate systems. Observations and modeling studies suggest that LULCC impacts meso- regional, and potentially global-scale atmospheric circulations, temperature, precipitation, and fluxes. The Great Plains Irrigation Experiment (GRAINEX) plans to investigate the impacts of the rapid commencement irrigation and subsequent sustained irrigation on the evolution of planetary boundary layer atmosphere in a region of the Central Great Plains, specifically in Nebraska. We will determine the impacts of the rapid commencement of irrigation in the spring and resultant changes in the land-atmosphere (L-A) coupling at the mesoscale. In addition, this research will investigate the intra-seasonal changes in application in irrigation and their impacts on the boundary layer atmosphere and various processes and mechanisms involved in these changes. To fulfill the objective of this study we will collect field data in collaboration with the Lower Atmospheric Observation Facilities (LAOF) of the University Consortium for Atmospheric Research (UCAR) and conduct model simulations to further understand the impacts of irrigation on the atmosphere. 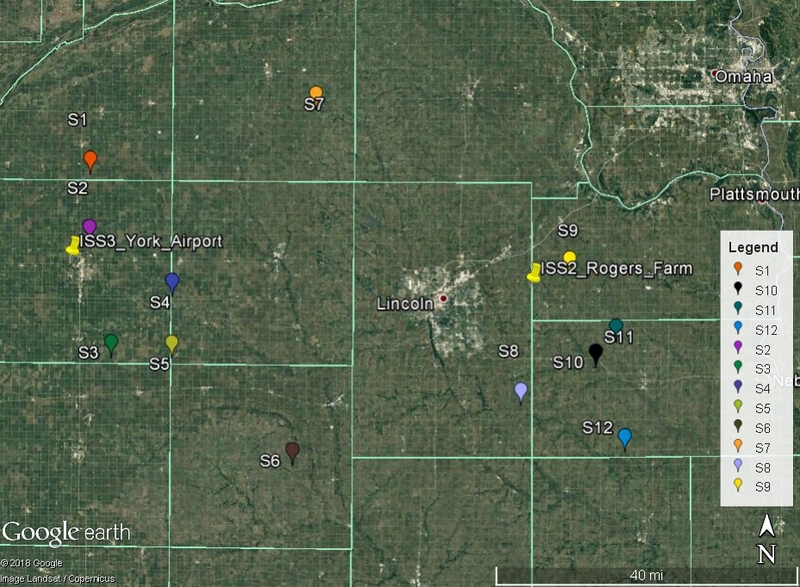 To further understand land-atmosphere interactions and coupling, this study will use the Weather Research and Forecasting (WRF) model centered on southeastern Nebraska, a region containing strong soil moisture gradients due to widespread application of irrigation in certain areas. EOL facilities were deployed at the locations in the Table below. In addition, CSWR deployed 3 mobile radars and other vehicles. Also, UAH deployed 74 weather stations across the domain. This research will make a significant contribution to improve understanding of the impacts of rapid commencement of irrigation and intra-seasonally enhanced irrigation on the planetary boundary layer atmosphere. The results of this study will also help further understand the role of irrigation on weather events in the U.S. and other parts of the world. work will be disseminated through participation at conferences, public websites, and publications in peer-reviewed journals. The project will contribute to the education and training of two graduate students at WKU and UAH and thus contribute in training and expansion of STEM human resources. WKU is the home of the sole meteorology program in both Kentucky and Tennessee. Additionally, various aspects of this research project will be integrated in the classroom through various courses already being taught.